It’s expensive to heat, cool, and power a home. According to a WalletHub survey that draws from 2016 state and federal data, the average monthly household energy bill ranges from a high of $404 in Connecticut to a low of $218 in Washington State. To get those numbers, WalletHub added together the average monthly electricity, natural gas, motor fuel, and home heating oil bills in each state. Needless to say, energy costs can really impact household budgets, especially at the lower end of the income scale. According to the American Coalition for Clean Coal Electricity, households in the lowest income quintile pay approximately 22% of their after-tax earnings toward energy, including motor fuel. By contrast, top-quintile households pay just 5%, on average. Many people simply glance at their monthly utility bills – or, if they’re enrolled in autopay, at the corresponding debits on their bank account statements. They have a rough idea of the range in which their monthly energy costs should fall, and how much those costs should vary from season to season, but they don’t always pay close attention to the cause-and-effect relationships between actions they take and the ebb and flow of their energy outlays. For instance, while it’s obvious that running the air conditioning at 76 degrees instead of 72 degrees reduces summer air conditioning costs, it’s harder to say by exactly how much. But actions homeowners don’t take can impact their electricity and home fuel costs – and their carbon footprints – to an even greater extent. Unless you live in a new construction home with airtight seals and the latest home energy efficiency technology, you’re almost certainly losing money (and harming the environment) due to some combination of poor air sealing, inefficient mechanicals, sub-par insulation, outdated lighting, and power-hungry appliances. To determine just how much money you’re leaving on the table, and what you can realistically do about it, conduct a DIY home energy audit or hire a professional home energy assessor. A DIY home energy audit carries little (if any) financial cost, though a thorough audit can take hours to complete. A professional assessment can cost anywhere from $150 to $600, depending on its thoroughness and the methods used by the assessor. However, some utilities, government entities, and nonprofits offer assessments for free or at a reduced cost – for example, Mass Save, a consortium of utilities and clean energy providers in Massachusetts, provides no-cost assessments. A home energy audit or assessment isn’t as simple as adjusting your thermostat or shutting the bathroom window, but its power to trim total home heating, cooling, and electricity costs is virtually unmatched – provided you actually acknowledge and follow through on its findings. According to the U.S. Department of Energy, an audit can reduce home energy costs by anywhere from 5% to 30% – resulting in potentially thousands of dollars in savings over the course of your tenure as a homeowner or utility-paying renter. Where Do You Suspect Your Greatest Losses or Inefficiencies Lie? Note any obvious problem areas, such as an old, single-pane picture window or an ancient water heater. Add suspected issues, such as improper insulation in your walls or attic, to the list. Devote extra attention to these areas during your audit or assessment, and if you have capacity prior to your audit, research remedy or replacement costs. How Much Do You Currently Spend on Electricity and Fuel? Look at your electricity, gas, and heating oil (if applicable) bills for the past year. If possible, go back two years. Establish monthly and seasonal baselines for your expenditures. You can use these to determine the relative savings you’re likely to see from any future energy-efficient upgrades, and as a whole-house picture of your pre-audit energy spending. How Much Can You Spend to Fix Issues Uncovered by Your Audit? If your audit uncovers a boatload of inefficiencies, you’ll face a laundry list of fixes and upgrades, many of which won’t come cheap. Determine how much you can afford to spend on these fixes and upgrades before you know what’s necessary – this way, you won’t upend your household’s finances by simply saying “yes” to the whole lot. Keep in mind that some fixes and upgrades may require professional help, which can further add to the cost. Do You Have the Time and Ability to Address Issues Uncovered by Your Audit? Depending on your audit issues’ nature and expected cost to remedy, you may be unwilling or unable to pay a contractor (or multiple contractors) to fix them. If that’s the case, you need to determine how much time you’re willing and able to devote to that end. If you’re short on time, consider addressing only the quickest, easiest issues, and setting more ambitious items aside for the professionals. Environmental benefits matter, but for many homeowners and utility-paying renters, saving money is the most powerful home efficiency motivator. Every efficiency fix has a return-on-investment time-frame, based on prevailing utility rates and the amount by which it reduces consumption. Some time-frames are quite short – for example, window weatherstripping can pay for itself in a year or less – but others stretch to a decade or longer. If you’re planning to move in the short- to medium-term, some fixes are unlikely to pay for themselves, at least in terms of direct utility savings. Will Post-Audit Upgrades Add Value to Your Home? Some energy-efficient upgrades actually boost appraisal value, potentially paying for themselves (in some cases, multiple times over) when it comes time to sell. For example, energy-efficient windows and doors and combustion appliances (mechanical systems such as furnaces and water heaters) all tend to raise a home’s value, all other things being equal. If you’re planning to sell your home in the near future, factor the potential to list your newly efficient home at a higher price into your cost-benefit analysis. If your audit reveals significant but non-life-threatening problems that require major investments to remedy, you may not have enough cash on hand in your non-emergency savings to address them on any reasonable timeline. If you have sufficient equity in your home (at least 20%, in most cases, and ideally more), consider a home improvement loan or general purpose home equity loan as an alternative. To determine whether a loan is appropriate in your situation, calculate your loan’s total expected cost against the upgrades’ expected energy savings. A do-it-yourself home energy audit requires some research and planning, as well as a few hours of time invested during the audit itself. However, it’s not a highly technical or dirty process, so it should be well within the capabilities of most able-bodied, financially motivated homeowners. With virtually no upfront cost, home energy audits are also far more affordable than professional assessments, which can cost more than $500 under normal circumstances. Drafts can have a huge impact on home heating and cooling costs, particularly in older homes. Window and door frames are the biggest sources of unwanted drafts, but vent hoods, bathroom vents, fireplaces, window-unit air conditioners, and climate control ducts can invite outside air into the home as well. During your audit, visually inspect these elements for cracks or weak spots. On windy or cold days, you can probably identify larger drafts simply by walking around the interior of your home and putting your hand (preferably dampened) near suspected problem areas. Alternatively, if you live in an area without lots of ambient night light, walk around the exterior of your darkened home while a partner shines a flashlight at each problem area from the inside. Every flash of light hints at a draft. To get a clearer and more detailed picture of the extent of your home’s drafts, conduct a DIY building pressurization test after your initial visual audit. On a cool, preferably windy day, turn off all your home’s mechanical appliances (including the furnace and air conditioner), and tightly close all windows and doors. Turn on all fans that vent outside, including your kitchen and bathroom vents fans, as well as appliances with external vents, such as your clothes dryer. Keep ceiling fans off, as they don’t vent outside and can actually obscure the sources of drafts. Light an incense stick and hold it near every potential draft site. You can gauge the presence and severity of each draft by noting if, and by how much, the stick’s smoke wavers. Keep in mind that some drafts are necessary. For instance, if you have a gas furnace, it’s probably served by an exterior vent that draws in air as the furnace burns. This air supply keeps the furnace operational and prevents it from sucking oxygen out of the home’s living spaces. Insulation (or lack thereof) can really affect your home’s energy appetite. Unfortunately, checking for proper insulation is a time-consuming and inexact process. Attic. Check that your attic’s access door is insulated to the same degree as the attic floors, and that its edges are properly weatherstripped or sealed. Verify that the insulation in your attic’s walls, floors, and ceilings is evenly spaced. Review the Department of Energy‘s R-value recommendations for your area to assess the insulation’s suitability, matching the R-value specified for your area with that of the insulation material (such as fiberglass, mineral wool, or cellulose) in your attic. Every insulation material has a specific R-value – for example, rolled fiberglass insulation has an R-value of approximately 2.9 to 3.8 per inch, meaning 10 inches of rolled fiberglass has a total R-value between 29 and 38. Wherever possible, look under your attic insulation for the presence of a vapor barrier, such as tar paper or plastic sheeting. Vapor barriers prevent moisture buildup, which can reduce the insulation’s effectiveness. Walls. Short of knocking a hole in every wall of your house, it’s hard to get a precise, global picture of your home’s wall insulation. The best you can do on your own is to check the insulation behind the electrical sockets. To do this safely, turn off the circuit breaker or fuse for each outlet you test, confirm that no power is flowing through by plugging in an electric device, and then remove the cover with a screwdriver. Gently poke a plastic stick, preferably with a hooked or bobbed end capable of catching loose material, through the void. If you feel resistance or find bits of insulation on the withdrawn stick’s end, there’s at least some protection there. Shining a flashlight through the void may give you a better sense of the degree to which that section of wall is insulated and help you identify the insulation material, which is important for determining R-value. Basement or Crawlspace. If your home has an unconditioned crawlspace beneath its first floor, visually confirm (if it’s safe to do so) that the underside of the first floor has an adequate, unbroken area of insulation. If your home has an enclosed, subterranean basement, confirm that the basement’s above-ground perimeter (the top of the foundation wall, which is usually the same as the basement wall) has adequate insulation as well. (This insulation should be below the basement ceiling, along the exterior wall, above the ground line.) In finished basements with living spaces and full climate control, wall insulation needs to be similar to wall insulation found above ground, at an R-value appropriate to your area. Follow the wall procedure described above to check wall insulation in finished basements. Water heaters, furnaces, boilers, and water well pumps become less efficient as they age. This inevitable process slowly but surely increases your utility bills – electricity, natural gas, home heating oil, or all three, depending on where you live and the type of equipment you have. To determine the ages of your home’s mechanicals, look up their brands and model numbers (or serial numbers, if you can find them) at the manufacturers’ website. Without a serial number, you can’t determine the exact age – but you can get close. For example, while I know my home boiler model was manufactured between 1983 and 1987, I’m not sure of the exact month. I do know enough to know that it’s very old and will likely need a replacement in the next few years. The manufacturer-recommended service lifespans of common home mechanical systems range from 10 to 15 years for storage water heaters; from 15 to 25 years for oil and gas furnaces; from 20 to 30 years for boilers; and from 20 to 30 years for tank-less water heaters. The most cost-effective approach to mechanicals nearing the end of their usable lives is simply to replace them with newer, more efficient models, as repairs offer diminishing returns with age. If your mechanicals are newer, look for soot buildup and burn marks around outflow vents. These suggest inadequate ventilation, which can be dangerous (and costly) if not addressed by a professional. Look for dirt streaks near seams, which indicate air leakage, another efficiency issue. Even in conditioned basement spaces, check all visible water piping (such as the pipes running from your water heater to your washing machine) for proper insulation. Piping can be insulated with removable sleeves (commonly fiberglass or neoprene) or they can be pre-insulated (commonly with urethane foam attached to and completely encasing the pipe material). In either case, the insulation should have an R-value of at least 6, regardless of geographical location. If you have a gas furnace and can safely access the filter, inspect it for dirt buildup, and clean or replace it if it appears dirty or worn. When the equipment is operating, listen for unusual sounds, such as knocking in the furnace or rattling in the water heater. Lastly, look through service records (sometimes marked on the side of the equipment) to determine the last service date. If it has been more than five years, schedule an inspection with a local HVAC provider – preferably the company that installed the equipment, provided their rates are competitive. For each item, try to ascertain the exact make and model, and then cross-reference that information with ENERGY STAR to determine its annual cost to operate and expected lifespan. Later, you can use cost-to-operate information to research more efficient replacement appliances – though, as with home mechanicals, it usually doesn’t make financial sense to replace an inefficient appliance until it approaches the end of its useful life. Check the seals on all internally conditioned appliances, such as refrigerators and freezers, and make a note to replace any that appear to be faulty. Also, note appliances with “eco” or low-power modes. These are common on many energy-hungry devices, such as window air conditioners, dishwashers, and washing machines. Use them as your default. Lighting isn’t rocket science. Basically, older incandescent and fluorescent bulbs are less efficient than compact fluorescent light bulbs (CFLs) and light-emitting diode bulbs (LEDs). To assess your home’s lighting efficiency, walk through your house and note the bulb type in every light fixture. Repeat this process with your exterior lights and floodlights. Take stock of motion sensors, wall dimmers, and lighting timers, all of which can reduce your total lighting costs. Note where, if at all, it would be appropriate to install these items – for instance, dimmers are common in family rooms, while motion sensors are useful in basements and outdoor areas. If your DIY home audit reveals lots of potential problem areas, or if you’re willing to pay a professional to do a more thorough and precise job than you can manage on your own, spring for a professional home energy assessment – and plan to spend up to $600 if you can’t find a free or reduced-cost offer from your utility or state environmental authorities. To find an assessor, look to a reputable trade organization such as the Residential Energy Services Network (RESNET) or Building Performance Institute (BPI). Both organizations have extensive lists of affiliated assessors, which are also known as auditors. Alternatively, call or visit your electric utility’s website and look for information about recommended assessors in your area. Avoid assessors supplied by companies that profit from their own recommendations – for example, window installers. Confirm that your chosen auditor can provide a detailed written report following the inspection. While detailed, this report should be easy for laypeople to understand – for instance, RESNET assessors score homes’ efficiency on RESNET’s proprietary HERS Index scale, which assigns lower numbers to more efficient homes. Some utilities offer free or reduced-cost assessments through their favored auditors. Some state governments have similar programs as well, so check with your jurisdiction’s environmental authorities before proceeding. Simply visit your environmental agency’s website (search for the name of your state, plus “environmental agency” if you don’t know what it’s called) and look for an “energy audits” tab or similar. If you don’t get a break on your assessment, expect to pay as little as $150 to as much as $600, per HouseLogic. Assessments at the lower end of the range are less thorough and primarily visual in nature – similar to a DIY audit, but conducted by a professional who knows exactly what to look for. Costlier assessments are diagnostic in nature, meaning they utilize precision tools to quantify waste and inefficiency. Schedule the assessment at a time when it’s convenient for you or a trusted family member to be home. Plan to accompany your assessor during the visit unless explicitly told not to. Most assessors are happy to answer questions and explain what they’re doing as they go. Exterior Leaks. The auditor walks around the outside of the house and visually inspects for drafts and air leaks around the foundation, walls, exterior fixtures, windows, and other common weak points. Interior Leaks. In a visual assessment, the auditor basically repeats the draft-finding portion of the DIY audit from the inside of the house. During a more thorough assessment, the auditor often conducts a blower door test, which uses a high-powered fan to depressurize the interior of the house and force exterior air through draft points, providing a whole-house picture of heat loss due to leakage. During the blower door test, the auditor precisely measures leaks using tools such as infrared cameras that can pinpoint leak-related temperature changes, manometers that measure leak-related pressure changes, and smoke generators that identify leaks using thin smoke streams (similar to the DIY incense stick approach). Insulation. The assessor visually inspects insulation in all human-accessible areas of the house, and may replicate the power outlet probe test as well. In a more thorough assessment, the assessor uses a moisture meter to detect efficiency-sapping moisture buildup in the attic and basement, along with thermal imaging equipment to detect thin or nonexistent insulation in living-floor walls. Combustion Appliance (Mechanicals). Home energy auditors devote special attention to appliances connected to natural gas lines or oil supplies, including furnaces, boilers, gas water heaters, gas dryers, and ranges. This inspection always involves a thorough visual look-over and filter check, if applicable. Most auditors use combustion analyzers, which measure the composition and temperature of vented gases, to detect potential inefficiencies (and immediate dangers, such as carbon monoxide leaks). Internal and external temperature probes, which measure combustion appliances’ working temperature relative to optimal performance, are commonly used too. Ducts. Auditors inspect ductwork in all human-accessible areas of the house, checking for tight seals and proper insulation. In areas that aren’t easily accessible, they rely on thermal imagers to see through walls and ceilings. Non-combustion Appliances. Assessors inspect every major non-combustion appliance for potential energy waste. This involves visual inspection to ascertain appliance age and construction, as well as appliance-specific assessments of things such as refrigerator door seals and freezer settings. Some assessors use watt meters to measure appliances’ actual electrical draw relative to their models’ optimal baselines. Lighting. Assessors take stock of every light fixture and bulb in the house. Often, they simply recommend swapping out incandescents for more efficient bulbs, such as LEDs and CFLs. It’s common for professional assessors to take copious notes and photos throughout the process. At least some of the photos your assessor takes are likely to make it into the final report, creating a helpful “before” snapshot of your home’s efficiency shortcomings. Once you have the results of your home energy audit or assessment in hand, keep the momentum going and devise a plan to make your home more efficient. Use the answers to your pre-audit questions to shape this plan. For instance, if you don’t plan to stay in your house forever, it makes sense to defer costly upgrades in favor of quicker fixes that are likely to pay off while you’re still around. On the other hand, if you’re concerned about resale value, you’ll likely prioritize projects that look good to prospective buyers – about which your listing agent is sure to have thoughts. Generally speaking, energy-efficient upgrades such as new windows, new combustion appliances, and new roofs all boost appraisal value. Post-audit projects fall into two broad categories. On the one hand, there are relatively simple projects that you can probably complete on your own, provided you have enough time, some initiative, and possibly some tools (or access to a tool-lending library). Since you don’t have to pay anyone to help you, these DIY projects almost always cost less than professional work. On the other hand are projects that, whether due to their complexity or the amount of time required, are best completed with the assistance of a professional. Though professional work costs more than DIY, there are plenty of ways to trim expenses. For instance, some contractors are fine with clients purchasing their supplies upfront (at their direction) so that they can show up with only their tools and still get the job done. Likewise, it’s frequently cheaper to forgo retailers’ appliance installation offers and hire a freelance handyperson using a sharing economy platform such as TaskRabbit (though, if doing so voids the appliance’s warranty, this can backfire). For either type of project, always check with the Department of Energy and your state environmental authorities for the latest information about renewable energy and home efficiency tax credits and rebates, which can dramatically reduce your upfront investment. Cost: Approximately $50 to weatherstrip one exterior door; Approximately $20 to $40 to weatherstrip one single window frame; $3 to $15 per 10-ounce caulk tube, depending on characteristics (waterproof and fireproof caulk costs more). It can be cheaper to buy in bulk if you have a large project. Though it’s not exactly stimulating, and does require an eye for detail, fixing drafts and leaks calls for no specialized knowledge and little innate handiness. Caulk is the material of choice for plugging cracks or gaps between stationary objects, such as foundation corners and exterior water lines. Weatherstripping is better suited for gaps between movable objects, such as windows and doors. There are many different types of weatherstripping and caulk, so consult the Department of Energy’s weatherstripping and caulk guidelines to determine which makes sense for your windows and doors. As an example, polyurethane and resin caulk work well in most common indoor and outdoor applications, while water-based foam sealant is only appropriate around windows and doors. Cost: Widely variable depending on R-value and project size, but typically $0.15 to $0.50 per square foot, or $75 to $250 per 500 square feet; Spray foam caulk typically costs $5 to $10 per bottle. Adding to existing insulation in attics and basements requires little to no handiness or specialized knowledge. Before you begin, make sure you’re using insulation with an adequate R-value, and that any insulation you install near hot or combustible areas (such as furnace vents and fireplaces) is fireproof. To address inadequate vapor barriers, use vapor barrier paint or plastic, fastening the plastic in place with wood staples or other fixtures as recommended by the manufacturer. To remedy inadequate or deteriorated insulation, purchase fiberglass roll insulation with appropriate R-values and apply as directed after removing the old deteriorated insulation. When applying, wear appropriate safety equipment, including gloves, and make sure the space is properly ventilated. Realize that applying insulation can be a messy, sweaty job, so don’t hesitate to break larger projects into more manageable chunks or call in a professional. To insulate cracks or small voids that are too large for solid caulk or weatherstripping, use expanding foam caulk (typically found in a spray can with a long nozzle). Cost: New oven ranges cost $300 to more than $3,000; New refrigerators cost $350 to more than $2,000; New clothes dryers cost $200 to more than $1,000. Older home appliances tend to be less efficient than new ones. For energy-intensive appliances, such as refrigerators and clothes dryers, replacements can pay for themselves within a few years. It’s generally possible to install new appliances yourself – some are basically plug-and-play, while others require light utility work (such as connecting a dishwasher to a water line). However, depending on your ability to move large objects and your comfort level with following printed installation instructions, some appliance installations – for example, a new oven range – are best left to the professionals. Many appliance retailers offer free delivery and installation with a minimum purchase. As natural gas is often cheaper than electric power, gas appliances can cost less to operate over time. If you cook and dry clothes often, switching your clothes dryer and cooking range from electric to gas can save you upwards of $100 per year. However, gas ranges and dryers usually cost $50 to $100 more upfront than comparable electric appliances, so don’t expect to recoup your investment right away. It’s probably not worth it to make the switch until your appliances start failing anyway. Cost: CFLs and LEDs cost as little as $2 to $3 per bulb when purchased in bulk, but expect $3 to $5 per CFL and $7 to $10 per LED. Smart LED bulbs, which connect to the Internet and can sync with smart home systems, cost $20 and up. Incandescent light bulbs remain cheaper than compact fluorescent or LED light bulbs, but they use far more energy. Accordingly, their lifetime operating costs are usually higher. Plus, they don’t last as long as CFLs or LEDs. Get in the habit of replacing burned-out incandescent bulbs with CFLs or LEDs – preferably LEDs, despite their higher upfront cost, because CFLs contain mercury and can harm the environment when improperly discarded. Use the Department of Energy‘s efficient lighting primer for guidance on proper replacement bulbs. Cost: Approximately $150 and up for learning thermostat systems; Approximately $150 and up for starter smart lighting systems (plus $20 or more per smart bulb); $15 to $30 for each utilitarian exterior motion sensor light, and upwards of $50 or more for decorative fixtures (such as wrought iron casings). Though they can require significant upfront investment, “smart” devices and systems can dramatically improve home efficiency, eventually paying for themselves several times over. Popular smart home systems include learning thermostats – such as the Nest Learning Thermostat, which automatically adjusts its settings based on the users’ routines and preferences – and smart lighting systems, which automatically turn lights on, off, or into intermediate states (or “moods”) based on users’ activities and preferences. However, not all “smart” systems need to be connected to the Internet – for example, common motion sensors can reduce the cost of lighting outdoor and seldom-used indoor areas. This “fix” demands no handiness, elbow grease, or upfront investment, but it’s also difficult to quantify. Relatively easy changes that can reduce home energy use include powering down and unplugging appliances (especially electronics, such as computers and printers) when not in use, raising or lowering the thermostat when no one is home, running air conditioners on “energy saver” mode at all times, air-drying clothes whenever possible, running larger laundry and dishwasher loads, and turning off lights in unoccupied areas. Cost: Including labor, new windows cost $270 to more than $800, per HouseLogic – at the high end or beyond if you need to replace the frames. It’s certainly possible to install new windows without professional help. However, improperly installed windows can be less efficient than the old windows they replace, and can look bad besides. Unless you’re really handy, this is a job for the professionals. Look for energy-efficient options (for instance, double-paned windows with spacers to reduce heat transfer), even if they cost more upfront. If you have lots of windows that need replacing, try to do them all at once, as buying in bulk can reduce your per-window costs. The upside is that energy-efficient windows generally boost resale value. Cost: Furnace replacement with installation costs $2,300 to $5,550 (per HomeAdvisor); Water heater replacement with installation costs $900 average for storage water heater and $3,000 for tank-less (per HomeAdvisor). Today’s home mechanical systems are far more efficient than their predecessors. If you plan to stay in your home for a few more seasons, or want to do the next occupant a favor, consider proactively replacing mechanicals as they near the ends of their suggested service lifespans. Look for local, state, and federal tax credits that reduce mechanical replacements’ upfront cost – for example, the Federal Government’s $150 ENERGY STAR credit for super-efficient boilers. Solicit quotes from multiple contractors and look for special deals that can greatly reduce your replacement costs – for instance, some HVAC companies offer “buy one get one” deals to customers who purchase new furnaces and water heaters simultaneously. Cost: For a radiant heating system, $6 to $15 per square foot, or up to $22,500 for a 1,500 square foot house (per This Old House). For a central air conditioning system, $3,500 to $4,000 for a 2,000 square foot home with existing forced-air heating ducts, and up to $8,000 for a similarly sized home without ducts (per This Old House). If your budget allows, mechanical replacements may offer an opportunity to more drastically rework your home’s climate control system – for instance, by closing off your ducts and swapping your forced-air gas furnace for a boiler that feeds a more efficient radiant in-floor heating system, or by installing a central air conditioning system. For the average homeowner or utility-paying renter, the most compelling reason to conduct a home energy efficiency audit or assessment is to identify actionable ways to reduce electricity and climate control costs. However, that’s not the only reason to put your home’s energy consumption (and waste) under the microscope. A thorough audit or assessment can be an illuminating experience that reveals just how inefficient modern life can be, and underscores the price many of us pay to enjoy the conveniences of first-world living in the second decade of the 21st century. Fortunately, it’s also liable to reveal just how empowered we are to make small but meaningful changes that add up to big savings – and, potentially, a big weight off our precious, fragile planet’s shoulders. 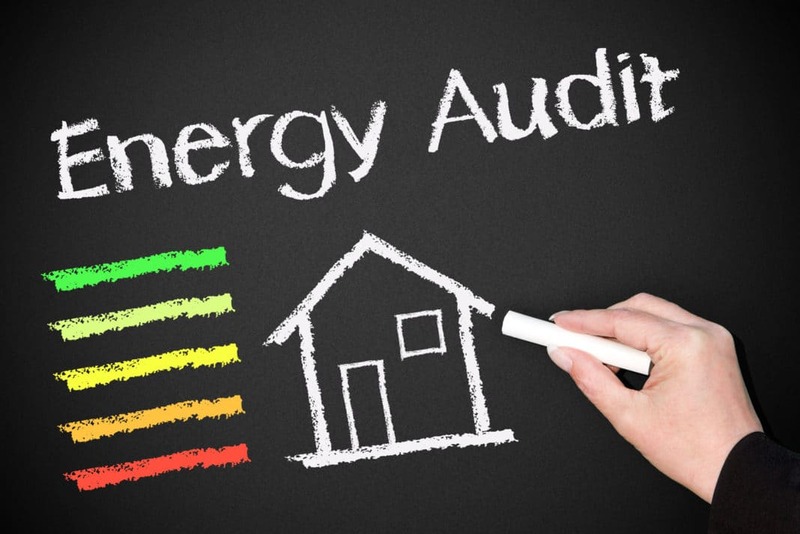 Have you ever had a home energy efficiency audit? Was it worth the cost?